• The SQ30-2B is a light weight and powerful portable threader. It is designed for threading ½”-2” pipe with 11-R Die Heads. 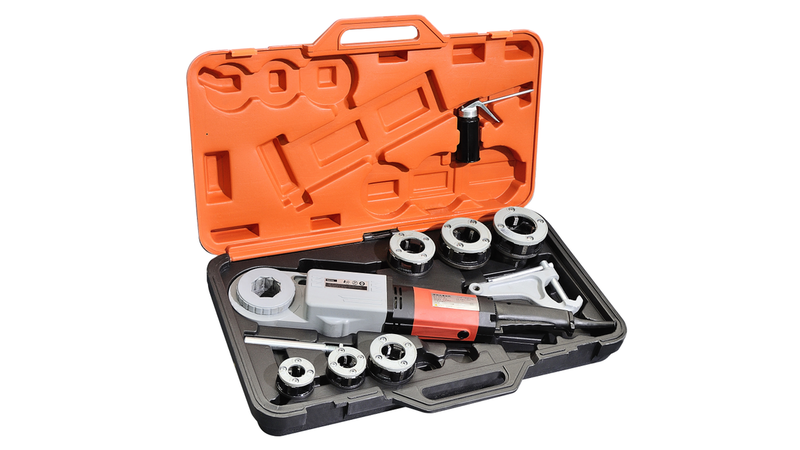 The SQ30-2B is equipped with a full set of 11-R Die Heads, ½”-2”, the SQ30-2B Support Arm and a durable Carrying Case. The SQ30-2B Power Drive is the perfect portable power drive for maintance and repair workers, as well as service plumbers requiring 2” pipe capacity.